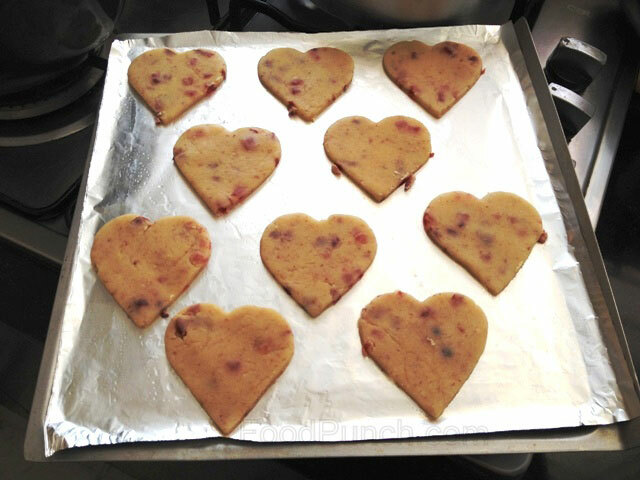 Heart shaped Shortbread cookies with a generous amount of cherries made a perfect Valentine snack. Valentine’s Day has always been a reason for me to celebrate. Not in terms of love, but definitely in terms of that foodie in me. 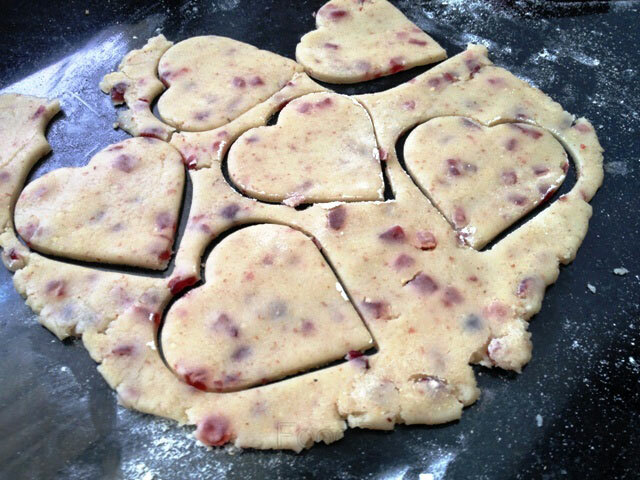 To satiate those sweet cravings with a delightful excuse, I made use of the day to create heart shaped cherry Shortbread Cookies recipe, which I had come across a few weeks earlier at a friend’s place. Simple and slightly chewy, I personally loved the crunchiness and chewiness of this no-baking powder cookie. Pre-heat the oven to 180 degrees while you get ready to prepare the dough. 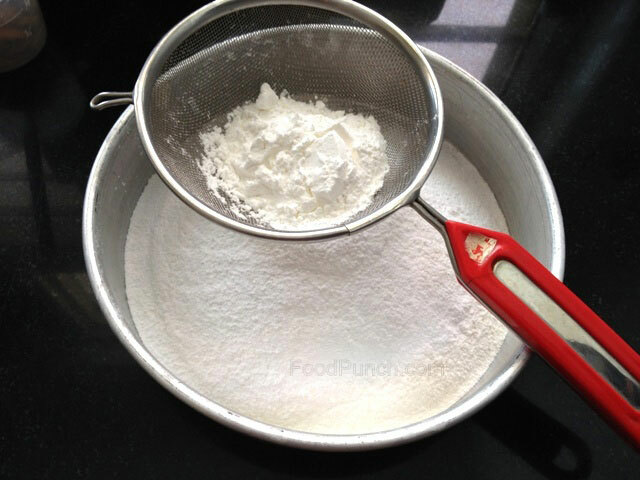 Sift the sugar, flour, corn flour together and keep aside. Into this add the powdered almonds and mix well. 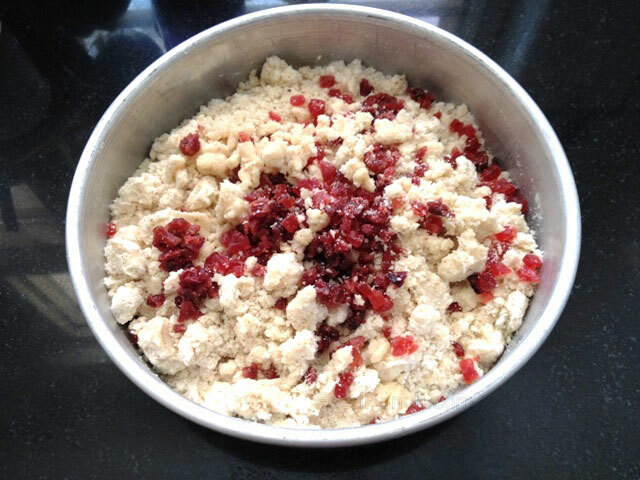 Now rub the softened butter into the dry mixture, followed by the addition of chopped berries or cherries. 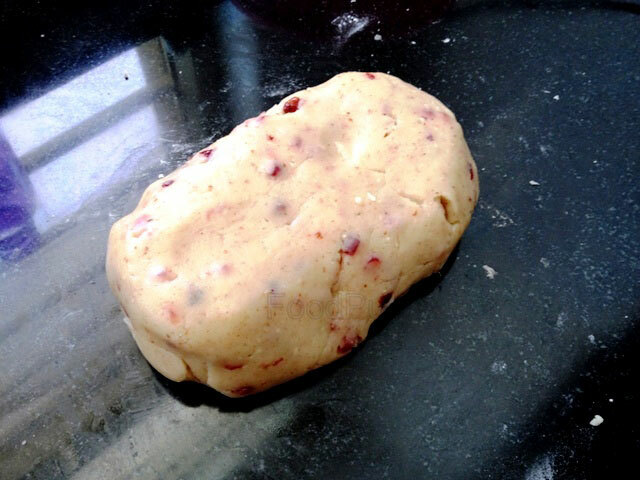 Now gently roll it into dough, so that it could be rolled out into cookies. 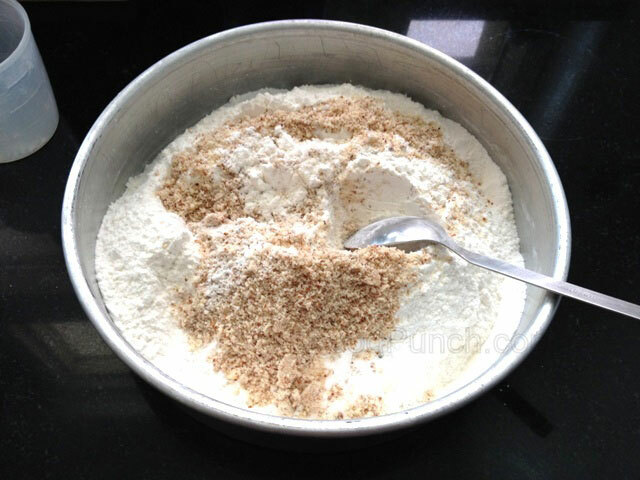 Place on a floured surface and roll the dough. 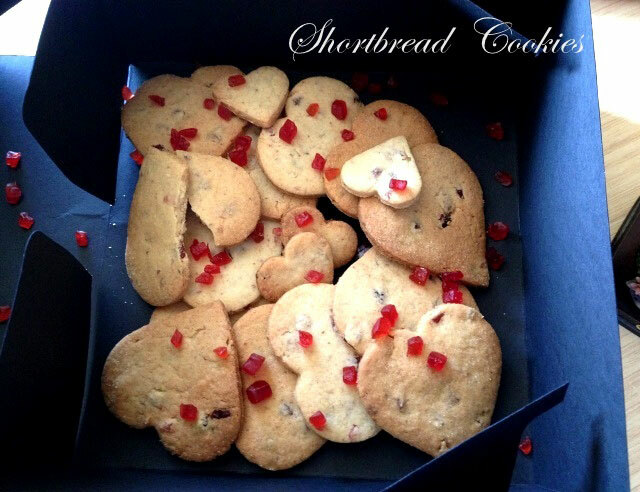 Using heart shaped cookie cutters, cut about 8-10 cookies and layer them on a greased cake tray. Continue rolling the dough, until all the trimmings have been used for the shortbreads. Refrigerate the cut outs for about 10 minutes, before popping them into the oven. Bake them for about 10-12 minutes. 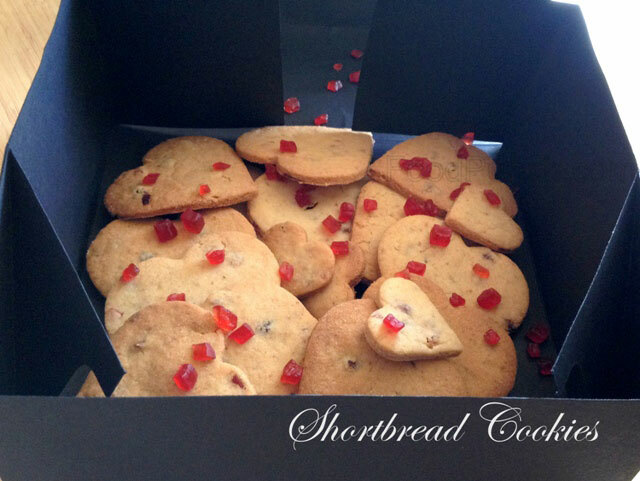 The shortbreads should be a little soft in the center as they tend to harden on cooling. Store them in an air-tight container later on. 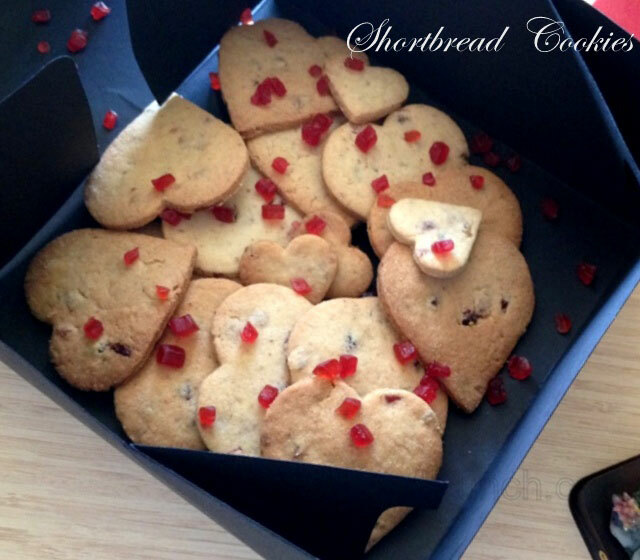 I personally used the shortbreads as small tokens to go along with a bottle of wine for a perfect ‘Valentine’s Day’ gift.